With ever increasing numbers accessing the internet on mobile and tablet devices, not to mention Google’s announcement that mobile friendly websites will get a boost in Google’s mobile search results, resulting in mobile-friendly websites appearing higher in mobile searches, it has never been more important for your website to be mobile friendly. 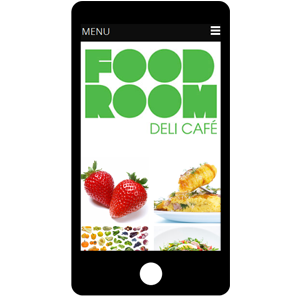 A mobile-friendly website is one that is optimized for use on mobile and tablet devices. With more and more people gaining access to smartphones, the mobile web is rapidly expanding. Over 50% of people in Ireland, now access the internet using mobile devices. Hub Media can either optimise your existing website, so as it can be easily viewed on mobile devices, or indeed develop a new website from scratch, suitable for PCs, laptops and mobile devices. Improved mobile search rankings – Google’s new update has begun to boost the mobile rankings of mobile-friendly websites, while at the same time penalising sites that aren’t mobile-friendly. If you want to be found in mobile search results, now is the time to update your website. Better user experience – anything that assists the site visitors experience while browsing your website, has to be a good thing. Quicker speeds – If your site isn’t optimized for mobile use, it can load slowly and may result in driving people away. A mobile-friendly site will offer a much faster option for viewers.